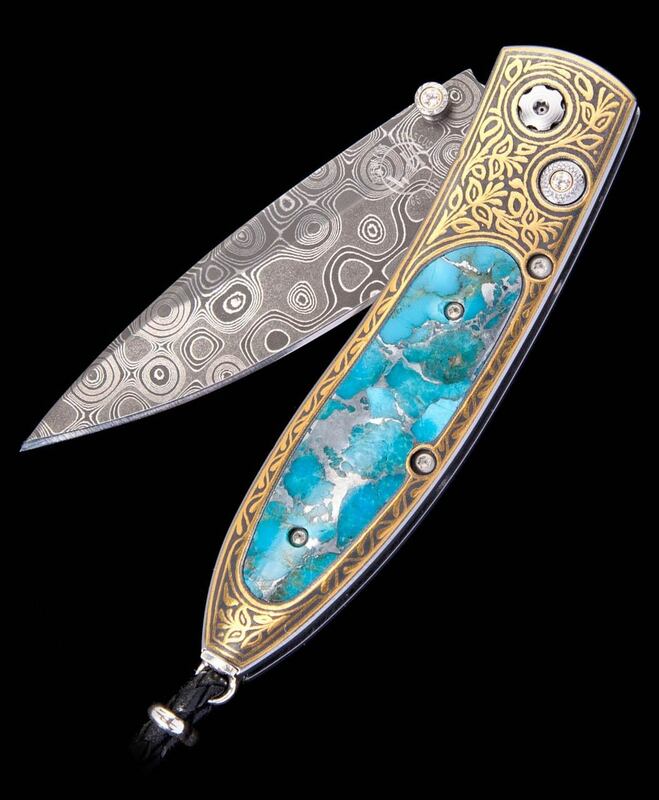 The Monarch ‘Gold Mine’ features a beautiful bolster in 24K gold koftgari, inlaid with ‘Zinc Matrix’ Kingman turquoise. 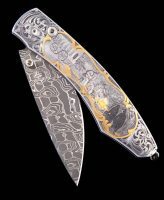 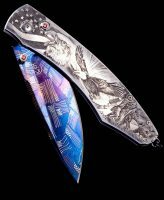 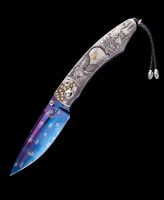 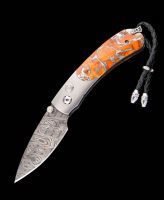 The blade is hand-forged ‘Raindrop’ damascus by Mike Norris; the one-hand button lock and the thumb stud are set with white topaz gemstones. 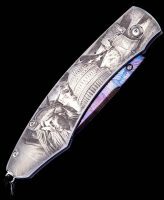 The Monarch is a compact but versatile folder that works and presents beautifully in any situation; the design, which offers a deep finger groove at the intersection between the handle and blade, makes this knife remarkably comfortable in the hand while being very small and easy to carry. 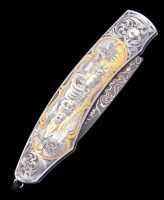 The ‘Gold Mine’ features some of the exotic materials and hand-forged metals that are the hallmark of William Henry’s collections; a timeless heirloom to be proudly worn and used for a lifetime before handing it down to another generation.